At Apple’s annual developer conference, Tim Cook spoke like an officiant at a wedding. As an introduction to Mac’s new desktop operating system—the successor to OS X Mavericks—the matrimonial airs were apt. It’s called Yosemite, and it brings the Mac and the iPhone closer than ever. They can even finish each other’s sentences. The first thing you’ll notice about Yosemite when it’s released to the public this year is a smattering of iOS-like cosmetic changes. They include translucent sidebars on windows, a single typeface throughout the OS, and “beautifully crafted new icons” on the dock. The star of the show: a new trash can, which proves that Jony Ive can make even garbage look flat. It isn’t the appearance of those icons that’s significant, though. It’s their growing similarity to the ones you see on your iPhone or iPad. Apple’s demos of OS X increasingly involve launching apps like Maps, Calendar, Mail, and Contacts that look and function much the same across the Mac and mobile devices. Meanwhile, the traditional desktop experience—which involved opening your hard drive and navigating through a hierarchical series of folders via the Finder—appears headed for the skeuomorphic dustbin. Now, when you want to open an application or file that isn’t on the dock, Apple wants you to use a revamped Spotlight search function that appears in the middle of your screen and pulls up results before you’ve even finished typing. Encroaching on Google territory, Spotlight can also search the Web. In other phone-like developments, Yosemite sports a more prominent Notification Center. It appears to replace the old “Dashboard” function with something called the “Today” view that looks an awful lot like what you see on your iPhone if you drag your finger down from the top of the screen. Among other widgets, it features your calendar, reminders, and the weather for today and the coming week. In a bizarrely old-fashioned touch, it also includes a selection of world clocks. The most phone-like thing of all about the new Mac operating system: You can use it to make phone calls. And send text messages. Via a new feature called Continuity, the Mac can pair wirelessly with your iPhone and serve as a sort of desktop-based speakerphone or text-message window. Apple VP Craig Federighi demonstrated the feature on Monday by using his Mac to place a call to the company’s new board member Dr. Dre. I wasn’t kidding about the Mac and the iPhone finishing each other’s sentences: A neat trick called Handoff will apparently allow you to start typing an email on one and pick it up midstream on the other. Your progress on one device will be instantly backed up to the cloud and available on all your others. Desktop operating systems have been gradually converging with mobile operating systems for a few years now—some, like Microsoft’s, less gradually than others. Here, in an interesting role reversal, Apple is following Microsoft’s bold moves with its own, more conservative evolution. No doubt it has observed the pitfalls of Microsoft’s approach: Tim Cook bragged that Apple’s last Mac operating system, Mavericks, has reached 51 percent of all Mac users, while just 14 percent of Windows users have taken the plunge to Windows 8. The next step for Apple: encouraging more small, third-party developers to build apps for the Mac as well as the iPhone and iPad, so that the Mac App Store becomes as robust as its mobile sibling. What does it all mean? It’s another step toward a future in which phones, tablets, computers, and even televisions are all just different-sized screens for displaying the same stuff: email, Web pages, apps, documents. Some devices will remain better for some purposes, of course: a TV for watching a movie on your couch, a phone for sending a quick text on the go, and—with apologies to the Microsoft Surface—a computer for typing. But you’ll likely be able to do just about any of these things on any of your devices. It isn’t just Apple and Microsoft that are doing this, of course. Right there with them is Google, with its Android phones and tablets, Chromebook laptop, and Chromecast. It should be no surprise that Google is rumored to be working on an Android TV service next. Amazon sees the same future. It hasn’t yet built a computer, as far as we know, but it has the tablet and the TV set-top box and might also have a smartphone in the works. And, of course, each of these four companies has been pouring efforts into streamlining its cloud services. Apple on Monday announced a Dropbox-like feature called iCloud Drive, which integrates files stored in the cloud with those stored on the hard disk so that both appear in the Finder. It has long been fashionable in tech circles to predict “the death of the PC.” Microsoft has taken this to heart, so much so that it is now building tablets that directly compete with PCs powered by its own software. But Apple’s continued focus on—and success with—the desktop platform suggests that death is the wrong metaphor. Mobile devices aren’t killing the personal computer. They’re getting hitched. Apple has announced their latest software update will include self-destructing messages, a move set to send shivers down the spine of Snapchat’s 23- and 25-year-old founders. While it’s just one of the many updates revealed in the iOS 8 updates announced at Apple’s annual developer conference in San Francisco, this feature has caught the imagination of the tech industry, as well as the legion of Apple users who have Snapchat accounts. More than 700 million messages and photos are shared on Snapchat each day. These digital missives appear for a total of 10 seconds before disappearing. Not only are self-destructing messages the core of three-year old company’s offering, selling ad space to their momentarily captive audience is the central pillar of their commercial strategy. With a host of high profile investors who’ve put more than $US120 million ($130 million) behind the company, co-founders Evan Spiegel, 23, and Bobby Murphy, 25, have a lot to prove. The company recently turned down a $US3 billion cash acquisition offer from Facebook, with Spiegel declaring he wasn’t interested in short term gain. “There are very few people in the world who get to build a business like this,” Spiegel told Forbes. The pair armed their staff with a copy of Sun Tzu’s The Art of War after the freshly rebuffed Facebook launched their photo sharing app Poke. But they may need to find another major morale booster. Spiegel is weathering a public rebuke after sexist and derogatory emails from his recent college days were leaked, while Apple has 15 per cent of global market share for phone users. While this may not sound like much compared to Android’s staggering 80 per cent, Apple users are concentrated in countries such as the US and Australia, where Snapchat’s core users live. As of January this year, Apple users made up 35 per cent of the Australian smartphone market, according to Kantar Worldpanel research. The company also maintains the entire ecosystem of its products, including approving apps for sale via iTunes. While most phones are getting smaller and being crammed with non-phone functionality, the “Sixty” cordless phone from French company Sagemcom harks back to an earlier age of domestic communications … with an injection of 21st Century design and technology. The Sixty delivers a new twist on the 1960’s Bakelite telephone by transforming the stocky rotary form into a folded, slimline design and adding a digital time fascia and capacitive touchscreen. The non-retro functionality includes hands-free calling, caller ID, 150 name and number phone book, phone conferencing, multiple languages, and an integrated digital answer machine. The drilling bell tone of yore has been replaced with more modern polyphonic ringtones, although these include a reproduction of the original “ring ring” for those who want to retain some of the old-skool feel. There’s also rotating lights and sound effects during dialing. One 1960s element that doesn’t make a comeback is the curly phone cord – instead there’s a wireless handset with a 10 hour battery life. The Sagecom Sixty is available for £99.99 (US$167) … and it’ll come in any color you like as long as it’s orange. 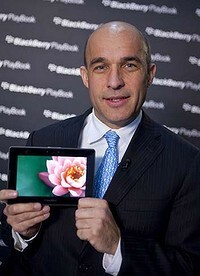 Research In Motion co-chief executive officer Jim Balsillie said criticism of the company’s PlayBook tablet computer, which goes on sale next week in the US and in Australia sometime in the second quarter, are misguided because they ignore RIM’s base of BlackBerry faithful. Technology columnists criticised the 7-inch tablet for its limited number of applications, lack of built-in email and inability to connect to mobile-phone networks – issues that won’t be remedied until new software and further editions of the device are introduced later this year. Some critics suggested RIM rushed an unfinished device to market, a charge Balsillie refutes. RIM will need those loyal customers to help it come from behind in the tablet market. Apple, which put its first iPad on the market last April, has sold more than 15 million units and Samsung Electronics, Motorola Mobility Holdings and Dell have all introduced tablets already. While RIM hasn’t forecast how many of the devices it will sell, Balsillie said the opportunity is significant. The iPad accounted for 75 per cent of tablets shipped in the fourth quarter, according to researcher Strategy Analytics. 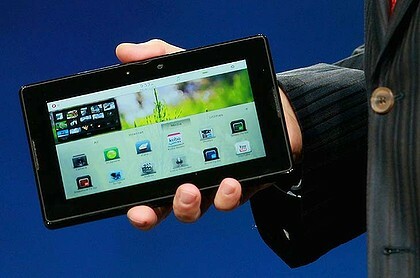 Tablets that use Google’s Android software, including Samsung’s Galaxy Tab and Dell’s Streak, had a 22 per cent share. RIM’s best chance to win customers is with business users, say investors such as David Eiswert of the T. Rowe Price Global Technology Fund. Co-chief executive officer Mike Lazaridis said RIM expects to distinguish itself in the tablet market the same way it did in mobile phones – through better technology. The PlayBook has security features that appeal to corporate customers and unique extras, such as the ability to let consumers browse the web and run videos simultaneously, he said in an interview last week. The device, which is smaller than the 9.7-inch iPad, is also designed to be “ultraportable” so it can be more frequently used during the day, he said. RIM didn’t make the decision on size lightly. Todd Wood, vice president of industrial design, and his team studied the optimal proportions for a tablet while Lazaridis weighed what format would offer a screen big enough for watching video and could pack a powerful processor, and remain portable. The inspiration for the final size was decidedly low-tech: the Moleskine leather notebooks used by Pablo Picasso and Ernest Hemingway. Consumers have had the chance to buy smaller tablets for months, though sales haven’t threatened the iPad’s dominance. Samsung’s Galaxy Tab, the size of the PlayBook, went on sale in October and had shipped 2 million units by the end of 2010. The PlayBook starts at $US499, the same as the least expensive iPad 2 in the US (the least expensive iPad 2 is $579 in Australia). The priciest PlayBook is $US699, while the top- end iPad, which comes with a 3G connection, is $US829 (the top- end iPad is $949 in Australia). A large installed base of business customers should help RIM sell about 250,000 PlayBooks in its current fiscal quarter which ends in May, and 5.4 million over the fiscal year, predicts Alkesh Shah, an analyst with Evercore Partners Inc. 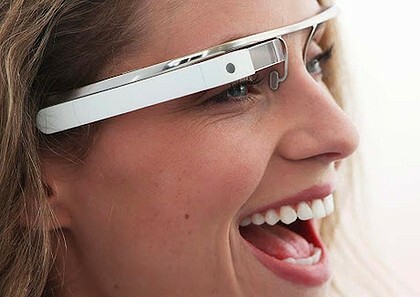 The device will probably capture 10 per cent of the tablet market by 2015, compared with 47 per cent for the iPad, research firm Gartner predicts. PlayBook sales will be about 29 million devices in 2015, eclipsed by a forecast of about 138 million iPad sales, according to Gartner. ManuLife Financial, Canada’s largest insurer with about 24,000 employees worldwide, plans to deploy the device across its businesses in North America and Asia. Toronto-based insurer Sun Life Financial is ordering as many as 1000 of the devices to make signing up new policyholders easier. ING Direct, a Canadian unit of ING Groep NV, plans to pilot the PlayBook for its staff. All three companies have said the adaptability of the PlayBook to existing BlackBerry networks, and the tablet’s security features were primary reasons to stick with RIM. “Any new tablet maker faces an uphill challenge in capturing the attention of the market, but PlayBook has the potential to be meaningfully different,” said Paul Taylor, chief investment officer of BMO Harris Private Banking in Toronto, which holds both RIM and Apple shares.